What would Don Draper do? Careful down that road. You might end up wasted, fired or worse. But what would Don Draper wear? Better question. The enigmatic and pathological main character of AMC’s Mad Men TV show dresses sharp, with a “classic gentleman” look built on straightforward ties, tan car coats, oxfords or derby shoes–and when stepping out: black tuxedo. To really get in touch with Draper’s style, remember consistency is key. Pretty much the only change in his wardrobe as Mad Men arced from the 1960s to the 1970s was that he started wearing more stripes. We decided to look up Sanders for ourselves. Amidst a long and illustrious career in England, the work that most caught our eye on the illustrator’s curriculum vitae comes from the 1960s, when Sanders convinced Stanley Kubrick to allow him to document the making of 2001: A Space Odyssey. Sanders observed and sketched on-set twice a week for over a year, later working on larger paintings in his studio. An excerpt of this amazing record appears below. See more of Sanders’s artwork here. The season-five finale of Mad Men a few nights ago ended with a brief chain of events that threatened to decimate the central premise of the entire season—namely, a new Don Draper: less work-obsessed, more monogamous, and less haunted (literally) by demons from his past. Despite the revelatory plot twist, it was hardly shocking to see classic Draper reemerge—and beguile the best-looking ’60s mod-era minx in the bar, and her friend, without even trying. What was unexpected, though, was this season’s occasional loosening-up of the definitive Mad Men uniform (trim suit + white shirt + narrow tie). Secondary characters came into their own, style-wise, and even Draper and Roger Sterling relaxed a little. Read on for our top five less-buttoned-up looks of the season. 1. Off-Duty Don. He wore this timeless, casual-yet-polished combo to the office—on a Sunday. Take a cue and make an effort, even when you don’t have to. Shop V-Neck Sweaters. 2. “Dinner-Party” Roger. Couldn’t resist including this scene of Sterling, in the bath with his quasi-estranged second wife, hallucinating that he’s at Yankee Stadium. Directly prior, he was talked into trying LSD by a group of hippie intellectuals—while wearing a perfect navy blazer and power tie (Sterling’s version of ‘casual,’ as opposed to his standard three-piece suit). Shop Navy Blazers. 3. Stan Rizzo’s Stripes. Mad Men nails all the differences—in personality and attire—between account men and creative types. Rizzo, an art director, makes casual-staple polo shirts look office-ready on a daily basis, thanks to a trim fit and clean lines. Shop Polo Shirts. 4. Harry Crane’s Adventurous Side. We decided to pass up the vibrant, prep-staple plaid dinner jackets donned by Draper, Cosgrove and Campbell early in the season, and instead focus on the subtler, but still statement-making patterns that TV-exec-schmoozing Crane has caught on to. Shop Plaid Sportcoats. 5. Ginsberg’s Creative Streak. The new guys’ clothes are like his thoughts: scattered, a little messy, but inevitably a glimpse of brilliance shines through. His pattern-mixing here is a travesty, but his printed shirt is as on-point in 2012 as it was in 1967. Shop Novelty-Print Shirts. 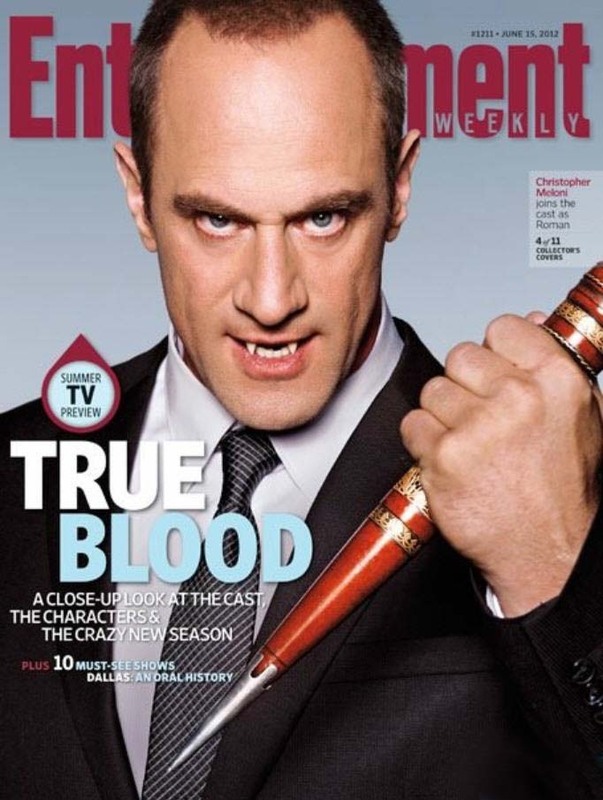 In Closing: We’re sad to see Mad Men go—but at least the new season of True Blood premiered the same night. Which means less Megan, but more of this guy. Fair enough. After all that, there’s no telling what will go down Sunday night. But two things are for sure: Draper’s late-season return to form will continue to put the mere mortals of The Pitch (AMC’s reality-TV version of Mad Men’s ad-agency drama) to shame; and, the clothes will be impeccable, as per usual.